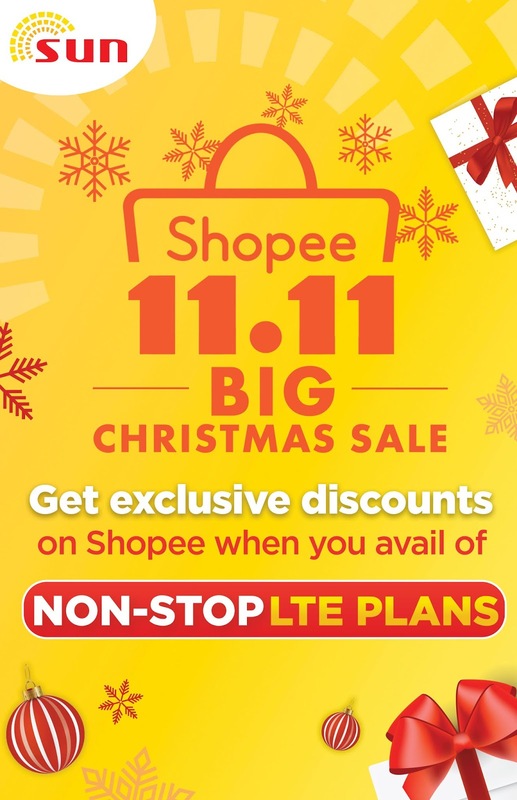 This special treat for Sun Postpaid customers coincides with the biggest online Christmas sale of the year, the Shopee 11.11 Big Christmas Sale, which features exciting offers up to 99% off, flash deals and other holiday treats for online shoppers. On November 11, Shopee will be offering 24 hours of free shipping with the lowest ever minimum spend of ₱99 only and will be giving away 11 million Shopee Coins from the popular in-app game, Shopee Shake, as well as exciting prizes including round-trip tickets to Australia, Malaysia, and Japan. 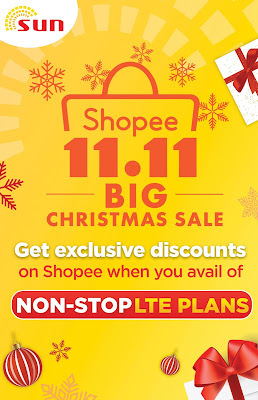 For more information on the Shopee 11.11 - 12.12 Big Christmas Sale, visit https://shopee.ph/11-11. 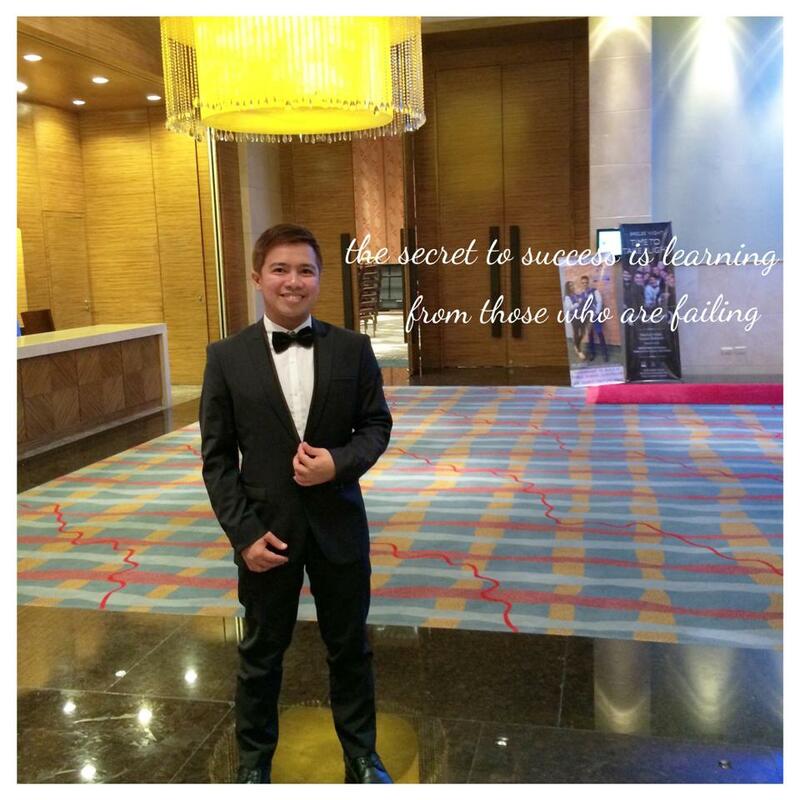 Download the Shopee app for free on the App Store or Google Play Store. 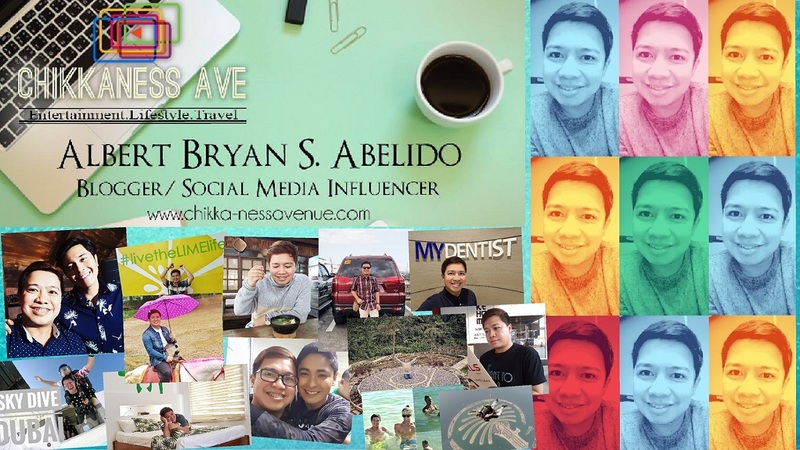 Upgrade to a Sun Non-Stop LTE Plan that suits your lifestyle! 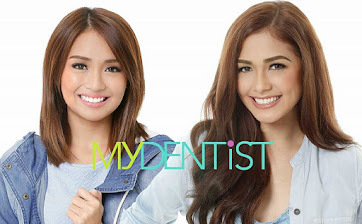 For more information, visithttp://suncellular.com.ph/postpaid or head to the nearest Sun Shop now.